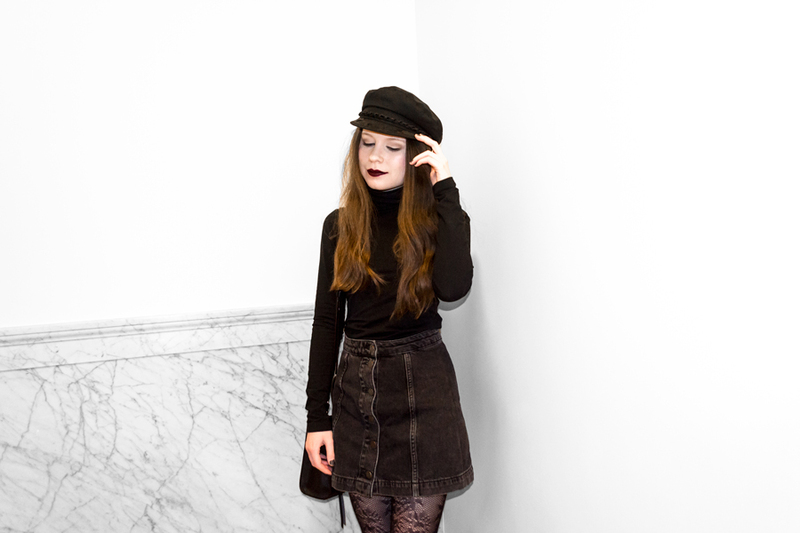 It's my first outfit post of the new year! I'm really digging dark looks. Expect to see many more of them in 2017. This one has a gothic, French feel. I can't get enough of black turtlenecks. I could wear one everyday and never get tired of them! I also can't get enough of my Free People fisherman cap. It adds the finishing touch to any edgy outfit. 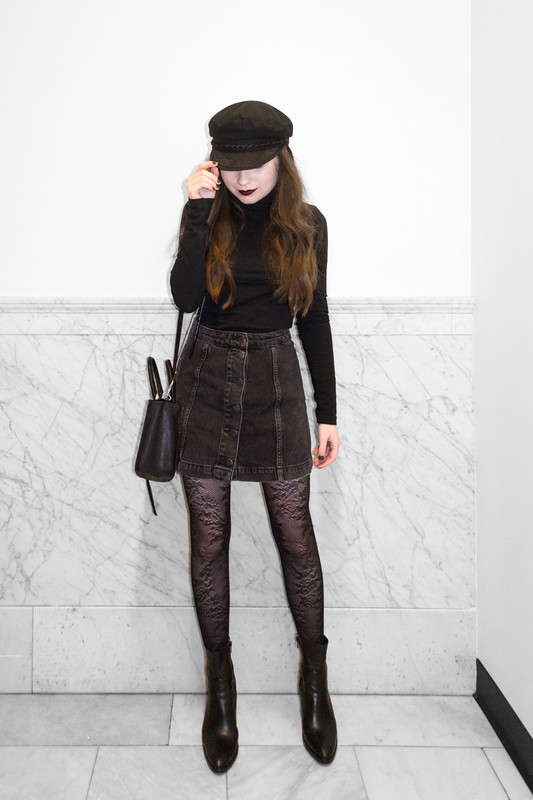 I love those sheer black tights - nice way to switch up the boring all black ones I have.